Rare THREE bedroom with beautiful city skyline view. Private entrance, 1 private balcony and two private decks - one part of a larger courtyard with beds to plant flowers/vegetables. 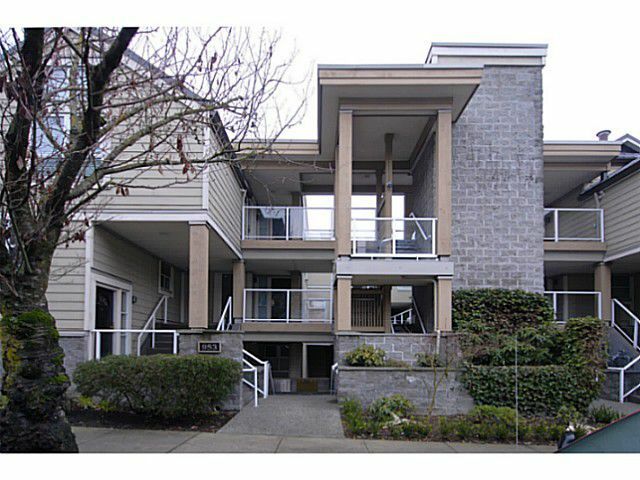 2 bathrooms, gas fireplace, built-in vacuum, ampleclosets, secured underground parking. An efficient floor plan over two levels make this elegant view townhome feel larger than its 970 sq.ft. Steps to Laurel over pass, Charleston Park where dogs are allowed off-leash and Granville Island and The Seawall. Don't miss this opportunity.